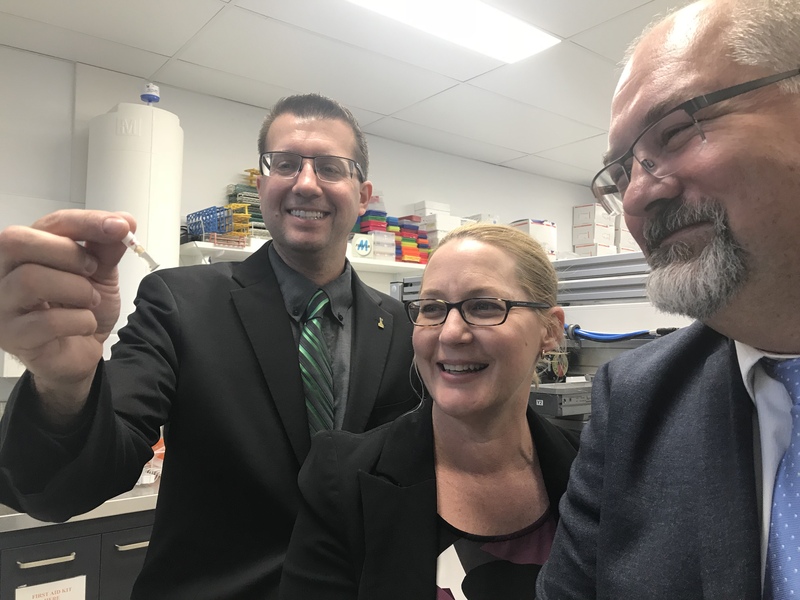 Australia’s largest commercial livestock genomic testing laboratory has opened in Gatton, Queensland, following a $5 million investment by Neogen Australasia in new facilities and equipment. Jason Lilly of Neogen Corporation said the opening was a major milestone for Australian livestock industries as they seek to accelerate the rate of improvement in the performance of their breeding stock, leading to enhanced animal management. “We have built on the long tradition of quality genomic research here at The University of Queensland and as a result Neogen is now Australia’s leading provider of genomic testing of cattle and sheep,” Lilly said. The laboratories were officially opened by Karen Wiik of Queensland’s Department of State Development, Manufacturing, Infrastructure and Planning. The laboratories are located at UQ’s Gatton campus, and employs more than 30 local staff, half of whom previously worked for UQ’s former Animal Genetics Laboratory (AGL). AGL acted as a research and industry service facility prior to Neogen’s 2017 decision to invest in a long-term commercial operation at the site. Neogen Australasia’s Russell Lyons said Neogen’s investment was a sign of the company’s commitment to the Australian livestock industries. “Having local laboratories staffed by local people really does give livestock producers the chance to actively participate in the genomic revolution,” Lyons said.